PR Newswire: Hamamatsu Photonics introduces the ORCA-Flash4.0 scientific CMOS camera. The ORCA-Flash4.0 is said to be the first camera that challenges the performance of all CCD, EM-CCD, and first-generation sCMOS cameras for every fluorescence application. The 4MP camera sensor is based on 6.5um pixel with full well of 30,000e. The ORCA-Flash4.0 has QE of over 70% at 600 nm and 50% at 750 nm, and has only 1.3e of read noise at 100fps at full-resolution. This unique combination of high QE and low noise, in the absence of EM-CCD multiplicative noise, means that images are no longer limited by the camera. A very nice whitepaper explains the comparisons and the new sensor features. Aptina announces the production ready AR0832E BSI sensor. The AR0832E is a 1/3.2-inch format, 8MP sensor with a 1.4um BSI pixel aimed to smartphone cameras. "Aptina's portfolio of BSI sensors is the culmination of several years of research and development refining and improving our BSI technology, which is enabling us to go-to-market with leading performance, manufacturing capacity, and competitive yields," said Aptina CEO Dave Orton. "Early feedback on the AR0832E BSI is that the performance is compelling, confirming the strength of our BSI technology and validating its readiness to address the needs of our customers today." Aptina used its FSI A-Pix technology to develop a BSI pixel with "industry leading low light performance". The BSI advances include incorporation of deep photo diodes to increase full well capacity and extend DR, precisely engineered pixel architectures to achieve enhanced light sensitivity, and advanced CFA alignment techniques to lower cross-talk and achieve higher QE and color accuracy. The AR0832E is sampling now, with high volume customer shipments expected in CYQ2 2012. It is available in die form. In February Aptina announced its intention to sample 1.4um BSI sensor by mid-2011. By that time the part number of 1.4um 8MP sensor was AR0833. Today's announcement names a different part. Wall Street Journal, MarketWatch quote Sony Executive Deputy President Hiroshi Yoshioka telling reporters at the company headquarters in Tokyo: "Even if manufacturing stays in Japan, (our image sensors) are competitive". Sony plans to keep its image sensor manufacturing operations in Japan despite the yen's persistent strength, which is driving electronics makers overseas for better profit margins. The image senosr business has been affected by the recent flooding in Thailand, where Sony has an assembly plant. The company has said it is temporarily shifting some of its Thai sensor manufacturing operations to Japan. Yoshioka also said the earnings outlook for his Professional, Device and Solutions Group for the current fiscal year "will be tough," due to March 11 natural disasters in Japan, the flooding in Thailand and the strong yen. Bloomberg reports that Sony will create a division for image-sensor modules used in smartphones and tablet computers on Dec. 1. The image sensors are also named as one of the main focus areas for the company. After floods in Thailand halted image sensor output at factories in the country, production will be shifted to a plant in Kumamoto, southwestern Japan, in the beginning of next year, Sony spokesman Hiroshi Okubo said. The effect of the floods "wasn’t as bad" as the company estimated three weeks ago, Yoshioka said. As part of efforts to improve sales, Sony will try to sell more camera modules, which combine image sensors with optical lenses and other technologies, instead of selling image sensors as individual components, Yoshioka said. Sony said last month it will increase its output of the sensors at its factory in Nagasaki prefecture, southern Japan. Photonis new fast 1MP xSCELL camera is powered by a proprietary CMOS-based technology named InXite. The 2e- low noise at 1000fps full resolution rate InXite sensor features 14 bits ADC. The 1024 x 1024 pixels, 15 µm pitch array is said to deliver have than 70% (other source - 65%) peak QE. The sensor has 2x2 binning mode and also non-destructive read mode to reduce noise to less than 1e- at 10fps. The pixel full well is 10Ke-. Sony Cx-News vol. 66 has announcements of 0.96MP 1/3-inch CCD and AFE and camera processor for security cameras. The CXD5148GG AFE, and the CXD4140GG, an "Enhanced Effio-E" for security camera application offer essentially the same feature set with added "IR LED exposure optimization", smaller pin count and lower power. The IR LED optimization function ensures correct exposure and increases visibility by preventing the overexposure that the excessive front lighting of a highly directional infrared LED light source. The ICX692AQA (primary color filter) and the ICX692AKA (complementary color filter) progressive scan CCDs are capable of rendering 720p HD output at 30fps. A number of technologies used in developing the new 4.08um-pixel based ICX692AQA/AKA have led to significant improvements over the older 3.75um Sony products, the ICX445AQA/AKA. The sensitivity is now 2.1 times (+6.5 dB), saturation signal level (dynamic range) is 1.86 times (+5.4 dB) and smear characteristics have improved by 6 dB compared to the current products. The vertical register, the readout gate and channel stop regions have been optimized to raise the saturation signal level. These changes have maximized the sensor area that accumulates electric charges produced by photoelectric conversion raising saturation signal level by 1.86 times (+5.4 dB) over the current Sony products. Also, advances in fine fabrication technology have enabled changes in electrode wiring structure that lower the layer of the on-chip microlenses and improve light collecting efficiency. And "photo shielding film" reduces glare from light reflections. When the lens diaphragm is opened up and a lower f-number is used, it controls the reduction in light collecting efficiency caused by changes in light incident angle. Also, use of "EXview HAD CCD II" technology has improved high sensitivity in the near infrared light region. In addition, reducing the thickness of the oxide film below the "photo shielding film" has successfully diminished contamination of signals by smearing in the vertical register and raised smear characteristics to -110 dB. IMS Research reports that automotive camera module supplier base is consolidating so that not all suppliers are benefiting from the strong market growth. The two leading suppliers of front camera modules, Gentex and Continental, have increased their combined share from 49% in 2010 to 58% in 2011. This has obviously been at the expense of the remaining supplier base, in particular the smaller ones with market share of less than 3%. Helena Perslow, Senior Analyst at IMS Research is not surprised. "Gentex and Continental have both been active in this market since the very beginning and have managed to carve leading positions in their respective niches. As the market grows, we believe it will become increasingly difficult for smaller suppliers to increase their share of the market. There is a steep learning curve in the automotive camera market and OEMs highly value a strong track record in what is essentially a safety application." What Perslow is saying is good news for established suppliers who already have long-standing relationships with OEMs and are familiar with the industry. However, those smaller suppliers with a market share under 2-3% may struggle to fully benefit from the strong market growth expected. Looking ahead, in the coming 12 to 18 months the list of leading suppliers is unlikely to change significantly. However, Gentex and Continental face different challenges. Gentex, the market leader, is currently focused on just one specific front camera application - automatic high beam control. Continental, on the other hand, has several front camera applications and combinations available on the market. As the market develops, the number of applications on mass market vehicles will multiply and different combinations will emerge and grow in popularity. Continental looks well placed to benefit from this trend, whilst Gentex will need to diversify to develop new applications if it is to maintain its share of the overall automotive camera market. Albert Theuwissen posted another article in "How to Measure" series: How To Measure The Dark Shading. The post discusses the definitions, the measurement procedure and also the ways to remove the shading from the final image. EETimes: Microsoft confirmed it is developing hardware to bring its Kinect gesture interface to Windows. Microsoft's general manager for Kinect, Craig Eisler said "we have optimized certain hardware components and made firmware adjustments which better enable PC-centric scenarios." Specifically, Microsoft has enabled a "near mode" for Kinect, allowing "the depth camera to see objects as close as 50 centimeters in front of the device without losing accuracy or precision, with graceful degradation down to 40 centimeters, one of the most requested [Kinect] features," he said. Presumably such a mode could open the door to alternatives for keyboards and mice for navigating PCs, tablets and smartphones. Microsoft said more than 200 companies are already participating in its Kinect for Windows program. In a recent blog post, Microsoft co-founder Bill Gates reiterated his long held view that natural user interfaces such as gestures will be crucial in the future of computing. Is Compressed Sensing Relevant to Image Sensors? The presented ToF camera is more a work in progress, showing what can be achieved with a simple 5T-like structure based on pinned PD. Adimec's Chief Scientist, Jochem Herrmann, presented "3D in Machine Vision – both Hype and Reality" talk at Vision Trade Fair in Stuttgart, Germany on November 8, 2011. The presentation overviews the main approaches to 3D vision system implementation and also talks about the 3D applications in machine vision. The last part of the presentation touches the requirements to cameras for 3D machine vision systems. 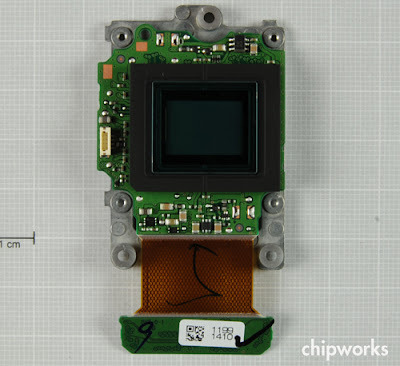 Chipworks' Motorola Razor smartphone teardown revealed Omnivision OV2B3BA 8 MP, 1.4um pixel BSI sensor. This is the same CIS as was also found in another high-end smart phone from Motorola: the Droid Bionic XT875. Chipworks also published a complete reverse engineering report on Sony IMX-145 sensor found in iPhone 4S. The sensor is 8MP, 1.4um BSI pixel. "In 2011, the global shipment of CMOS image sensors is expected to be 1,989 million units, up 24.5% from 1,497 million units in 2010. The application in mobile phone is still the most important market. Omnivision saw the highest growth rate among the vendors of CMOS image sensors. 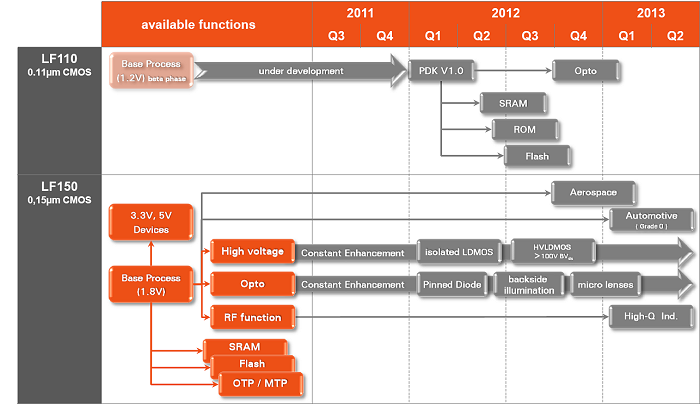 Omnivision has also been the world’s largest CMOS image sensor producer for successive several years. Other CMOS image sensor vendors except Sony witness sluggish growth. In the lens field... only four (or less four) vendors can mass-produce 8-megapixel cameras in the world. The vendors engaged in low-end products lead a hard life, while the high-end peers obtain handsome profits. In the high-end field, Largan almost monopolizes the market; NOKIA, HTC and Apple all apply Largan’s products. Although its products aim at the mid-end market, GSEO’s major client Apple has ordered more and more GSEO’s products. In the module field, LG INNOTEK becomes a highlight and endears itself to Apple, with more orders from the latter. The CCM revenue of LG INNOTEK will be USD950 million in 2011, up 63.8% from USD508 million in 2010, the sole vendor with substantial growth in the CCM sector. Besides, PRIMAX also has received some orders from Apple, and its revenue presents a 29.3% rise." Vision Research announced that its Phantom Flex v1610 high-speed camera received a 2011 Best of What’s New award from Popular Science Magazine. The v1610 is capable of shooting over 16,000 full-resolution frames each second, making it the world’s fastest 1MP camera. The camera features a HD widescreen 1280 x 800 CMOS sensor. Pixpolar's blog post on low-light imaging mentions NDCDS readout allowing picture deblurring at long exposures. The company prepared HTML5 demonstrator showing NDCDS capabilities here (for modern desktop browsers only). The demo shows 2s exposed images blurred by camera shake and says: "If you are lucky and your camera has a MIG sensor you can correct this image. From MIG sensors you get more low noise data and with intelligent algorithms the data can be used to correct the image blur." "Single-Photon Avalanche Diodes in sub-100nm Standard CMOS Technologies"
Presented at IISW in June 2011. "3D near-infrared imaging based on a SPAD image sensor"
"An All-Digital 128x128 CMOS Optical/Electrical Image Sensor"
Presented at Intl. Symposium on Microchemistry and Microsystems(ISMM), June 2011. "Determination of the Recovery Time of Silicon Photomultipliers"
"In an organic photoelectric conversion element, for realizing high photoelectric conversion efficiency, low dark current and high-speed responsivity, the organic photoelectric conversion layer used preferably satisfies the following requirements. 1. In terms of high efficiency and high-speed response, the signal charge after dissociation of an exciton needs to be swiftly transmitted to both electrodes without loss. High mobility and high charge transport ability with a small number of carrier trapping sites are necessary. 2. In terms of high photoelectric conversion efficiency, it is preferred that the exciton stabilizing energy is small and the exciton can be swiftly dissociated by the effect of an externally applied electric field or an electric field generated in the inside by pn-junction or the like (high exciton dissociation efficiency). 3. In order to reduce as much a carrier generated in the inside at dark time as possible, it is preferred to select the intermediate level in the inside and select a layer structure and a material that allow the presence of less impurities working out to one of causes thereof. 4. In the case of stacking a plurality of layers, an energy level matching with the adjacent layer is required and if an energetic barrier is formed, this inhibits charge transport." Thanks to DI for sending me the patent! One of the milestones ST reported in its Q3 2011 earnings release states: "Demonstrated first images of a high-end “35mm” digital single-lens reflex CMOS sensor, based on 90nm technology with 2-Directional color stitching capability on 12” wafer size." ST also mentions that its imaging product business experienced a growth in the last quarter, but does not release numbers. ST CEO Carlo Bozotti said the imaging products grew in Q2 and year-over-year too. Update: ST SEC filing state that imaging segment sales were $152M in Q3 2011 vs $142M a year ago. The sales for 9 months of 2011 are reported to be $475M vs $393M a year ago. Gross margin compression from increasing pricing pressure. Accelerating competition in the 8 MP non-Apple smartphone market. As for gross margins, Gill writes that he cut his FY 2012 estimate to 28.4% from 30.1%, with FY 2013 now estimated at 26.6%, down from 30.4%. The analyst notes that in the current quarter he expects OmniVision to take an inventory charge due to "poor yields" and excess wafers at TSMC. The analyst writes: "While OVTI initially had the technological lead in backside illumination (BSI) for over two years, we believe that gap has narrowed significantly due to OVTI’s internal design/production issues (i.e. 8830 sensor) and competitors catching up." Reuters: Sony will boost its image sensor production capacity by 50 percent within two to three years starting next spring, the company said on Monday. The previous plan called to boost capacity image sensors to 50,000 of 300mm wafer equivalents a month by the end of March 2012. The new plan will mean a further hike to 75,000 a month, measured in 300 mm wafer equivalents, by March 2014 or March 2015, a Sony spokeswoman said. The total includes both CCD and CMOS sensors. As well as boosting capacity at its Nagasaki Technology Center in southern Japan, Sony will use foundries to raise production without a further major increase in investment. Sony held an opening ceremony for its fourth CMOS sensor line at the Nagasaki plant on Monday. It started production at the third line in October. Arnaud Darmont, CEO of Aphesa, delivers 1-day course "High Dynamic Range Imaging: Sensors and Architectures" at IS&T/SPIE Electronic Imaging conference on Jan. 22, 2012. The course notes are going to be published as a textbook. "we were able to make a BSI imager with a record efficiency over a broad spectrum. In the full visible light spectrum (400-800nm), the efficiency is fairly constant between 80 and 90%. And even in the infrared, at 850nm, the efficiency is still 80%." "For our record BSI sensor, we grew high-quality EPI layers on standard silicon. By tuning the growth conditions, it is possible to engineer specific doping profiles in the detection layer. This way, a built-in electric field can be created to pull the generated carriers from the substrate to the diode at the surface, where they are collected, largely avoiding crosstalk. Another technique that we experimented with is to separate the pixels with deep and narrow trenches filled with highly doped polysilicon. This creates a built-in electric field at the sides of the trench, effectively creating a wall between the pixels and eliminating crosstalk. One obvious disadvantage of this method is that you lose part of the detection surface, i.e. the fill factor will slightly decrease." "At imec’s fab, we’ve been able to thin wafers down to 12µm. The best uniformity that can be reached is <2µm thickness variability on 200mm wafers." 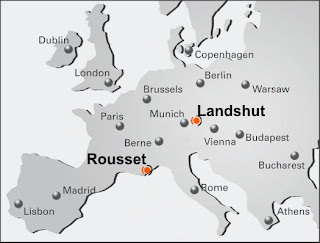 LFoundry was founded in 2008 on the former Renesas fab located in Landshut, Germany. 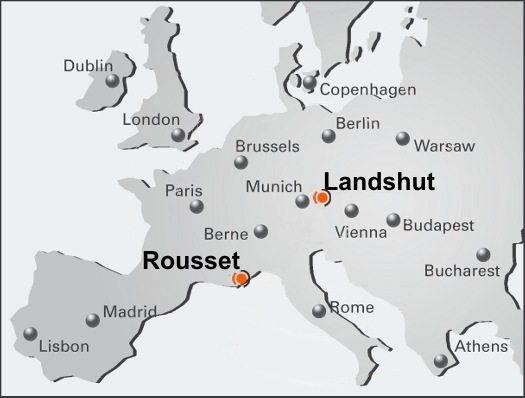 In 2010 LFoundry acquired the Atmel’s Rousset, France fab. The German facility supports up to 0.15um process, while the French fab process goes down to 0.11um. Update: As somebody said in comments, a few days ago EETimes wrote that LFoundry went bankrupt. Update #2: EETimes writes that LFoundry German fab is insolvent, while the French fab continues operations. Only 60 employees out of 295 remain at Landshut fab, the rest have already been laid off. "The decision has been made to shut down the fab and sell off the equipment," Michael Lehnert, CEO of Lfoundry GmbH, said. It appears that CIS development was planned for the now defunct Landshut fab. PR Newswire: SiOnyx won a multiphase contract from the Office of Naval Research (ONR) and Naval Surface Warfare Center Dahlgren Division (NSWC DD) in support of the Detect program to develop next generation sensing technologies for detecting laser light in targeting systems. The primary focus of the contract will be to develop enhanced silicon IR focal plane array designs for tactical imaging systems. The contract, including all options, is valued at $3M. "SiOnyx's technology is ideally suited for imaging applications in tactical environments and we are pleased that the DoD recognizes these benefits," says Dr. Martin Pralle, VP of business development at SiOnyx. Oppenheimer report quotes unnamed sources saying "In addition to yield issues with BSI-2 at TSMC, our checks hint at some material compatibility issue with encapsulant materials during packaging of image sensor lenses." and then also "In addition to yield problems at TSMC (image sensor fabrication is never easy), we also think, based on our checks, that some encapsulant/adhesive materials compatability/delamination was involved, in keeping with the company's prior suggestion of an unexpected discovery of problems." Himax announced its Q3 2011 results. Jordan Wu, the CEO, says regarding the CIS business status: "CMOS image sensor sales, which accounts for a significant portion of our non-driver sales, declined slightly in the third quarter. Laptops have been the largest revenue contributor to our CMOS image sensor products over the past quarters. However, the laptop market is facing headwinds with overbuilt inventory as well as competition from tablets which reduced customers’ orders for CMOS image sensors in the short term. In the longer term, we expect the market to stabilize and we plan to release our high-resolution sensors for handsets next year to diversify our product portfolio and capture the tremendous growth potential in this market." Business Wire: Kodak announced today that it has completed the sale of its Image Sensor Solutions (ISS) business to Platinum Equity. The financial details were not disclosed. This sale is aligned with the company's strategy to generate cash to complete the its operations. Included in the sale is a 263,000 square foot facility in Eastman Business Park in Rochester, N.Y., that houses manufacturing and research facilities. Platinum Equity is a global M&A&O firm specializing in the merger, acquisition and operation of companies that provide services and solutions to customers in a broad range of business markets. Platinum Equity focuses on acquiring businesses that can benefit from the firm’s extensive in-house capability and expertise in transition, integration and operations. “The ISS business has a strong management team with the right vision for leading the company into the future. We share their commitment to product development and customer service and are committed to helping the business realize its full potential,” said Brian Wall, the partner at Platinum Equity who led the team pursuing the acquisition. Wall said Platinum Equity’s experience managing complex transitions from corporate parent companies will benefit employees, customers and other partners. Thanks to KB for sending me the news! Update: Rochester Democrat and Chronicle tells that "the 200 people employed in Kodak's CCD business all are being offered jobs with Platinum." British Journal of Photography writes "While the financials of the transaction have not been disclosed, Reuters and The Wall Street Journal estimate that the sale brought no more than $200m to Kodak." - thanks to DG for the reference. Business Wire: ON Semiconductor introduced CMOS image sensor that offers the speed, resolution and SNR performance addressing the needs of high-end biometric applications such as fingerprint detection, as well as several medical device designs. The MANO 9600 is a rolling shutter 9.6MP (3840 x 2500 pixel) device that runs at 20fps at full resolution. Its maximum SNR is 41dB "without the need for oversampling. Many competing solutions use oversampling to improve SNR, an approach that can adversely affect speed of operation." The sensor feature 10-bit ADC with data is transferred over four LVDS outputs; a version with a single 10-bit CMOS output is also available. Numerous other on-chip features such as a charge pump, FPN correction and bias control for power supply regulation help simplify implementation of the MANO 9600 into customer applications and reduce overall component counts. Power consumption is 500 milliwatts (mW) at 20 fps, and 200 mW at 5 fps. Operating temperature range is 0 ºC to +70 ºC. Samples of the MANO 9600 image sensor are available now, with production devices expected Q2 2012. KLI-2104 Image Sensor, a new linear CCD that provides high quality, 4-channel color imaging. The KAI-16070 Image Sensor is the first device based on the TRUESENSE 7.4um Interline Transfer CCD Platform, a new technology that leverages the superior capabilities of Kodak’s 5.5um pixel platform into a larger, 7.4um pixel. The new platform shares a number of performance features with the 5.5um pixel devices, including low read noise, high QE, and a flexible output structure that supports the use of 1, 2, or 4 outputs on a single device. But the larger pixel size of the new platform helps to increase the light gathering capability of the pixel by 80%, improving signal-to-noise and low light performance. In addition, smear rejection has been improved by 4x (to -115 dB), dynamic range has been doubled to 70 dB, and blooming suppression has been increased to over 1000x. In addition to improving the base performance of the pixel, the platform also includes a new output design that allows a single charge packet to be sampled either once (standard readout configuration) or twice – at both high and low gain – to enable measurement of very high signal levels. When operated in this dual-gain mode, signals of up to 160k electrons (corresponding to a 2x2 bin of the base pixel array) can be measured, increasing the linear dynamic range available from the sensor to 82 dB. Taken together, these improvements result in a technology platform that provides superior image quality for use in the most demanding imaging applications. The KODAK KAI-16070 Image Sensor is the first product to leverage this new 7.4um pixel platform. With 16MP in a 35mm optical format, the KAI-16070 supports full resolution readout at up to 8fps. In addition, this product is both pin and package compatible with devices in the 5.5um pixel platform, allowing the KAI-16070 to directly leverage cameras that support the 35mm format KAI-29050 Image Sensor. The KAI-16070 is available in monochrome, Bayer Color, and TRUESENSE Color Filter Pattern configurations. The KAI-16050 Image Sensor is the latest product in the TRUESENSE 5.5um Interline Transfer CCD Family. This APS-H (32 mm diagonal) optical format device provides full resolution readout at up to 8fps, and is available in monochrome, Bayer Color, and KODAK TRUESENSE Color Filter Pattern configurations. The KAI-16070 and KAI-16050 Image Sensors are sampling today, with production planned for Q1, 2012. Also the 4MP KAI-04050 and 8MP KAI-08050 are now available with the TRUESENSE Color Filter Pattern that is said to provide a 2x to 4x increase in light sensitivity compared to the use of a standard Bayer color filter array. To simplify evaluation of Kodak’s newest CCD Image sensors, TRUESENSE IT-CCD Evaluation Hardware allows the performance of Kodak’s sensors to be examined without the need to develop a new camera design. This hardware system interfaces to a standard PC using a Camera Link interface and is driven by KODAK Sensor Studio Software, which is available for download from the Kodak web site. The system supports up to 4 output taps at 40 MHz clock speeds, allowing this entire portfolio of image sensors (from 1 to 29 megapixels) to be evaluated at full speed. The system is compatible with monochrome, Bayer Color, and KODAK TRUESENSE CFA devices, with an included IR cut-filter for color imaging and support for C, CS, and F mount lenses. Meanwhile, News Week, Wall Street Journal and others report that in a filing with the Securities and Exchange Commission, Kodak said it is seeking to raise an additional $500 million in financing that could be used to support "ongoing operational needs." Kodak said its ability to continue operations within the next 12 months "is dependent upon the ability to monetize its digital imaging patent portfolio through a sale or licensing" or by issuing additional debt. The portfolio is 1,100 U.S. patents-strong and represents about 10% of all Kodak's patents. Wall Street Journal, Market Watch: Omnivision cut its fiscal second-quarter revenue outlook, pointing to an unexpected cutback in orders for certain key projects currently in production. The company warned it expects the business environment to remain volatile, especially in consumer-oriented product markets. As a result, it is expecting a more cautionary outlook for its current quarter. For the period ended Oct. 31, the imaging-technology company projects revenue of $212M to $217M, down from its August estimate of $255M to $275M, which was already well short of Wall Street views at the time. OmniVision said the cutback has reduced the unit sales of OmniBSI and OmniPixel3-HS-based products. OmniVision also said its board authorized a program to repurchase up to $100 million in stock. "We are disappointed by the recent demand falloff that has impacted our second-quarter revenues," CEO Shaw Hong said. "However, we believe our stock represents an attractive investment for OmniVision and its investors and that this action attests to our strong confidence in the long-term strength and viability of the company, its technology and its broad market and product portfolios." Update: PR Newswire: On top of the revised guidance, Omnivision announced that towards the end of the second fiscal quarter it started to ship in very limited quantities the OV8830, the company's 8MP OmniBSI-2 based product - the chip that has been speculated to be a contender for iPhone 4S primary camera. 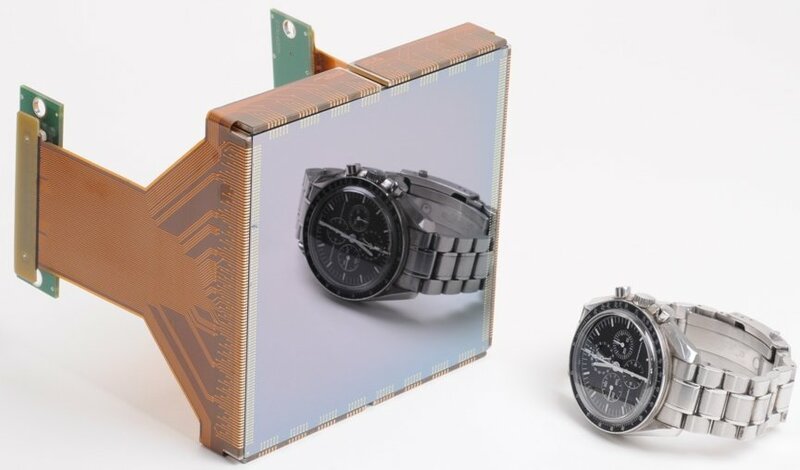 I-Micronews, EETimes-Europe, EETimes-Confidential: Isorg, a 2010 spinoff of France’s CEA-Grenoble Nanomaterials Laboratory (CEA - Commissariat à l’énergie atomique), is working on large-area photodetectors and image sensors in printed and organic electronics. The name of ISORG is the abbreviation of Image Sensor ORGanic. Although spun off from CEA, the two retain close ties and, in fact, a strategic partnership. The lab works on technology development, while Isorg’s role is to develop it a product and produce it in high volumes. 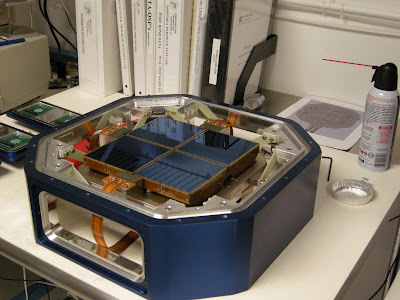 The Isorg's organic photo detector is based on a photodiode device structure. A high EQE (External Quantum Efficiency) is obtained by blending two organic semiconductors, a p type and an n type, sandwiched between two electrodes. Excitons generated by photons are separated into electrons and holes to create an electric current that can be measured for signal processing. Isorg's home page has a nice video showing the structure of its sensor. The layers are just printed, no need in vacuum processing like in OLED. Currently, only passive pixels may be designed, so Isorg is working on several industrial and consumer applications where passive pixels are enough. But CEA Liten (Laboratoire d’Innovation pour les Technologies des Energies Nouvelles) and Isorg are working on a hybrid structure combining organic photo detectors with organic thin film transistors, which may be available for prototyping within a year. Isorg’s Class 10,000, 450 m2 cleanroom fab is dedicated to developing printing techniques for organic electronics on plastic and glass substrates. The company’s plans are for this fab to be able to produce thousands of 320x380 mm foils or glass plates by 2013. The manufacturing pilot line to become operational in small volumes by Q3 2012, with full automation and large-volume production slated for 2014. Series A funding round is planned for this year. The size and source of the round will depend on how work progresses with early customers. Chipworks found Aptina sensor inside Nikon N1 V1 mirrorless camera. The new CX-format sensor is sized in between DSC and a micro 4/3 formats. Aptina's 12MP sensor with 2.4um 3.4um pixels has die marking (Aptina Logo)/APTINA/IMAGING/(M)C1CC©/2010. Thanks to ESG for sending me the link! Panavision Imaging (PVI, former Panavision SVI), launches DYNAMAX-11 (D11) CMOS sensor featuring global shutter technology for both indoor and outdoor industrial imaging applications. PVI’s new D11 technology platform is promised to be a basis for a full image sensor product portfolio, targeting markets such as Machine Vision, Intelligent Traffic Systems, Security, Surveillance, Life Sciences, Scientific Imaging, Biometrics and HDTV camcorders. The D11 3.2MP/120fps imager features a 5.0um pixel, 2/3” optical format with regions of interest (ROI) in a 16:9 HDTV format. A distributed ADC (D/AD) eliminates gain variations between rows and the closed loop feedback of Active Column Sensor (ACS) allows for high gain per column. The D/AD allows for variable bit depth from 8 to 12 bits. HDR mode operates by utilizing two data words per row, for dual gain or dual integration. The dual gain or dual integration data can be kept separate on the dual words for proper post processing for enhanced image rendering. “Panavision Imaging’s patented Active Column Sensor (ACS) technology has demonstrated advantages over competing imaging technologies such as CCD and CMOS Active Pixel Sensor (APS) technology,” said Jeff Zarnowski, CTO of PVI. Dynamax 11 allows for either single row or dual row readout. Single row readout is utilized for the lowest power consumption, and dual row readout is used for higher speed and longer line times for dual gain per row or Correlated Multi-Sampling (CMS). CMS can be used to further reduce noise, add gain or achieve greater bit depth. Other Panavision Imaging products include Dynamax 35 Ultra - a 35MP sensor capable to operate at 30fps at full resolution or at 120fps at 6 times of HDTV resolution. It's based on XtremePIX technology that was presented few years ago as the next generation ACS. Mobile Imaging Directions Panel - can only be seen as a part of June, 2011 Conference Day 2 presentations. e2v begins sampling in this quarter the ‘Ruby’ family of image sensors (EV76C660 and EV76C661), which is said to have sensitivity performance beyond that considered possible on traditional front side illuminated sensors, with a pixel size of 5.3µm. The reported QE is over 80% in visible spectrum and over 50% in NIR at 850nm. The sensors are targeting industrial and machine vision applications, as well as very low-light imaging in outdoor camera applications. Update: A separate PR on Ruby sensors has been released. Business Wire: Ziptronix announced that recent collaborations with major image-sensor manufacturers have shown that the Ziptronix ZiBond direct bonding process contributes minimum distortion in BSI image sensors. Since Ziptronix bonding technology does not involve a large coefficient of thermal expansion (CTE) mismatch, it does enable very low distortion which is required for scalable color filter array overlay on the exposed photodiodes after thinning of the bonded CMOS wafer. Distortion of the wafer introduced during the bonding process can compromise the overlay and limit pixel scaling. ZiBond’s inherent capacity for high bond strength at low temperature effectively minimizes this distortion compared to the competing bond technologies, adhesive and copper thermo-compression. This directly enables submicron pixel scaling; for example, 0.9um pixel BSI image sensors have already been fabricated and work on 0.7um pixel BSI is underway. Albert Theuwissen published another post in his "How to measure..." series. The post deals with procedure of measuring FPN in the dark - quite nice and practical guide.